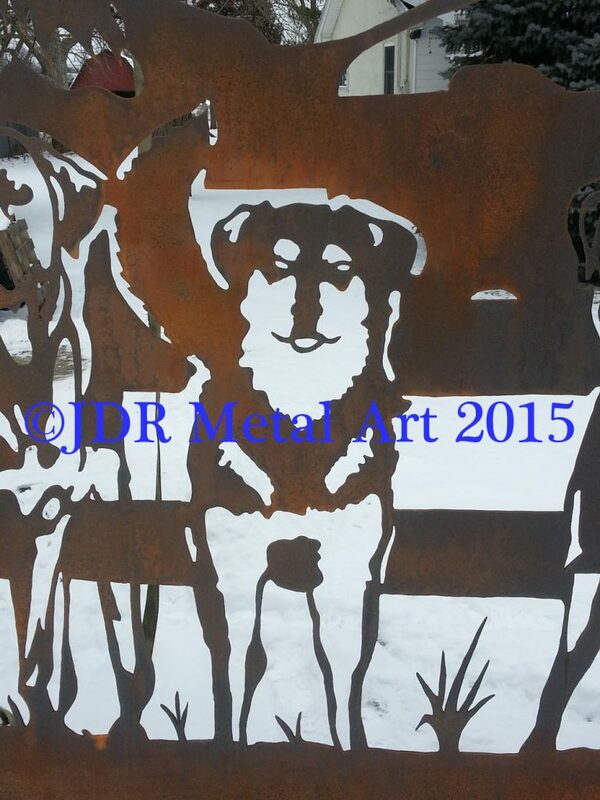 custom gate designs Archives - Custom Driveway Gates - Iron Steel & Aluminum - JDR Metal Art - FREE Standard Shipping! 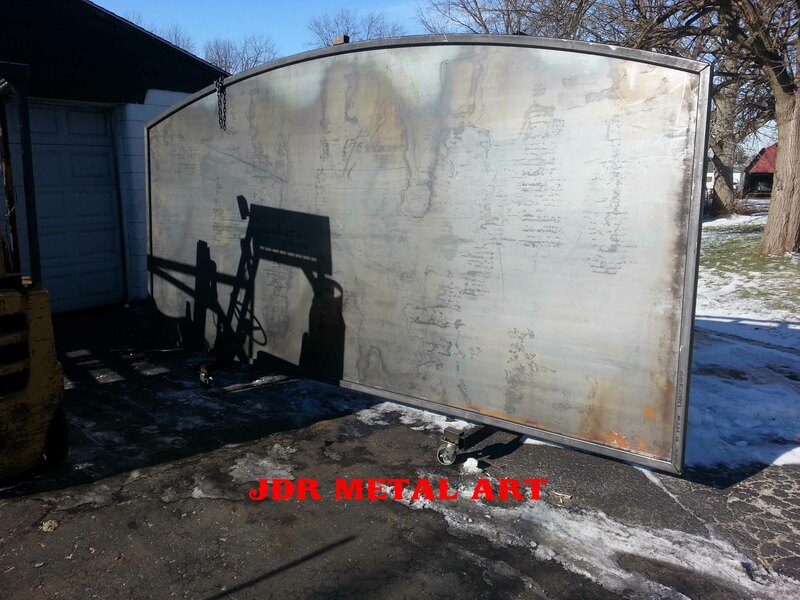 This driveway gate was custom designed for a drive entrance located in Missouri. 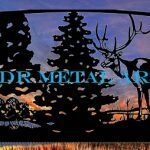 The steel wildlife scene is 18′ long and depicts two buck deer, a doe and two fawns on a woodland background. We worked with our clients through their contractor to come up with the gate design. We also incorporated the street address and family name at the bottom of the gate. The remaining 12′ of the gate is a frame which will be attached to the automated slide gate opener system. 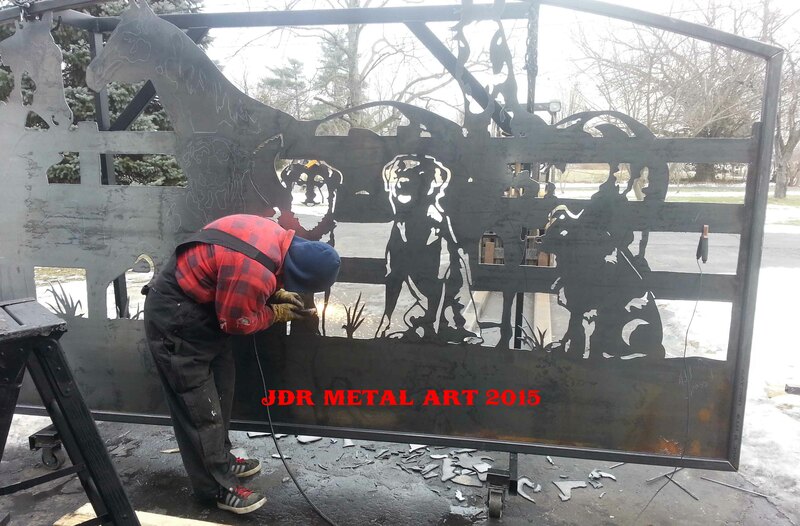 The driveway gate silhouette was both drawn and cut entirely by hand with the help of a plasma cutter. 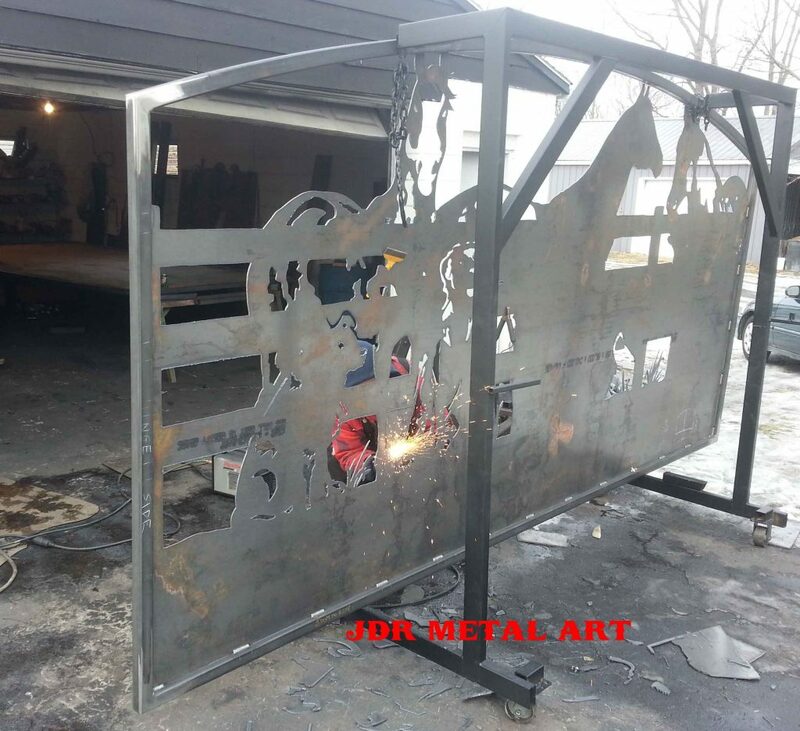 We used a 3/16″ thick plate of steel for the canvas and 2.5″ square tubing for the frame. The top is arched to accommodate the tree line. 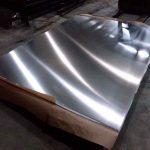 We applied Picklex as a metal pretreatment in order to eliminate surface oxides and condition the metal for maximum bonding and rust protection. We then sprayed two coats of industrial rust preventive primer (red oxide) followed by two coats of glossy black rust inhibiting finish paint. Here are some of our other wildlife style entrance gates. You can also check out our tree themed gates and our horse themed gates. Feel free to contact us below to discuss the project you have in mind. We design, build, powder coat and ship all of our gates from Columbus, Ohio to Missouri or just about anywhere else people want them. 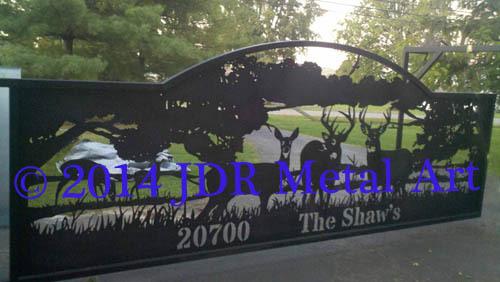 We consistently offer the best value anywhere for custom wildlife themed driveway gates!